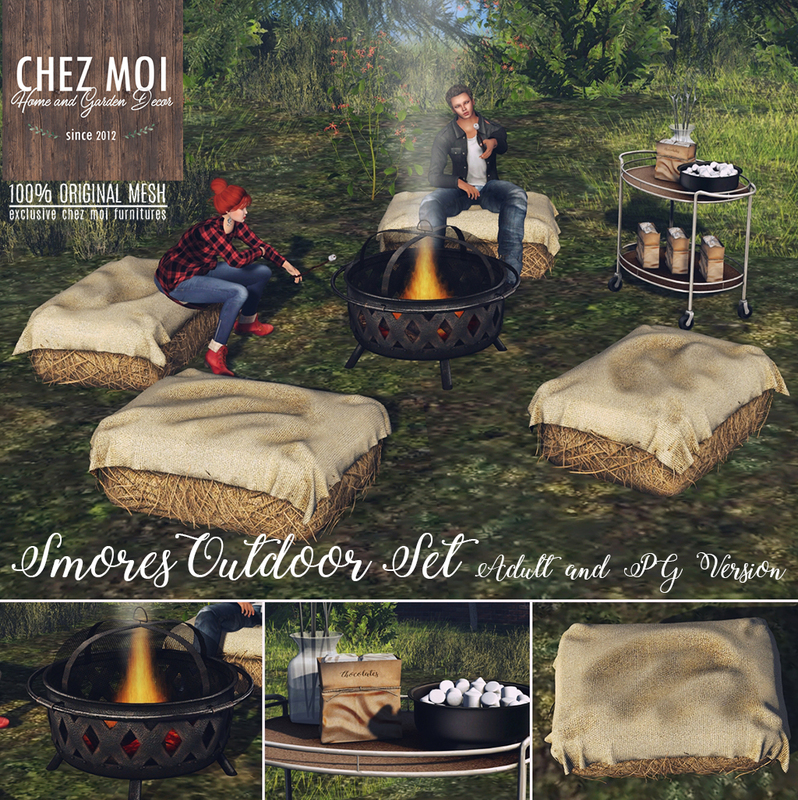 The Smores Outdoor Set is perfect for huddling around the warm, flickering lights of a fire pit and hanging out with pleasant company. It’s ideal for garden, picnics or decorating outdoor spaces. 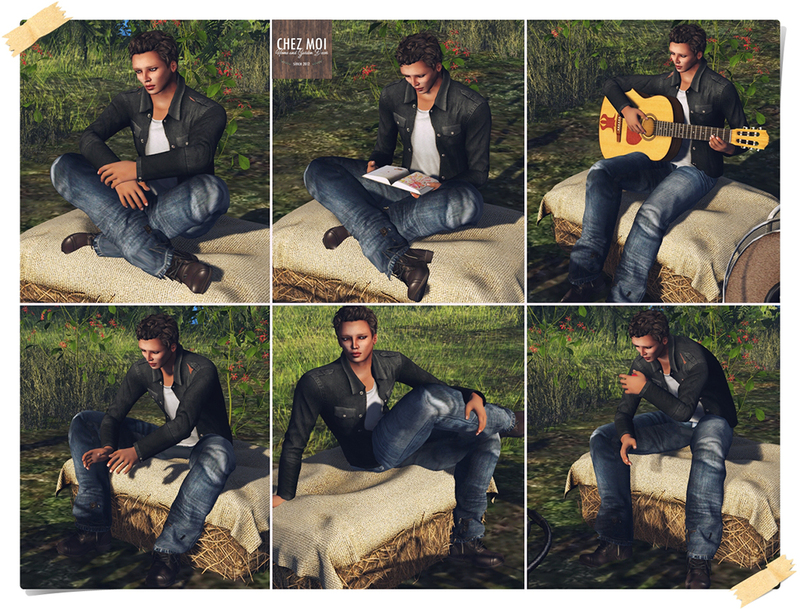 ♥ 30 single animations (15 female and 15 male) – including roast marshmallow, warm hands, play guitar, drink a hot beverage, eat and chat. The firepit has a sound and smoking effect – touch to display the menu. Also, it comes with 3 single animations and 1 sync couple animation. 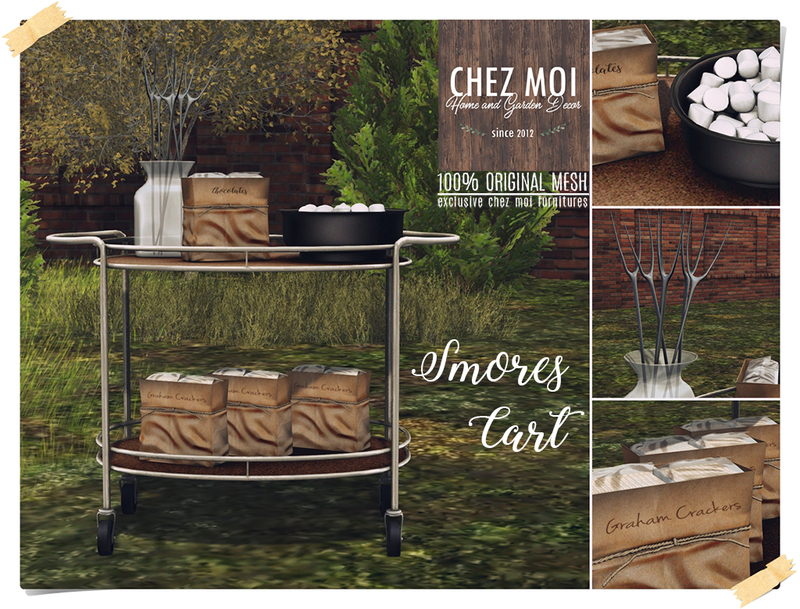 Amazing and realistic Smores Cart for fantastic moments.